Open enrollment gives students the opportunity to apply for enrollment in any school district outside the district in which they reside. The Open Enrollment form for the 2019-20 school year should be emailed to mzajac@orono.k12.mn.us, faxed to 952-449-8399, mailed to District Office, 685 Old Crystal Bay Rd. N., Long Lake, MN 55356. How can families apply for transfer? Open enrollment applications are available at our district office. An application must be sent to the school district for each child. Applications are due before January 15 for the next fall’s enrollment. The chosen school district will notify families about the acceptance or denial of applications before February 15. Families who are accepted into the chosen school district must confirm their transfer decision by March 1. Students must attend the chosen school district for one year. If the family wants their child to attend the school district for another year and they remain residents of the school district from which they applied, no further application is necessary. A student who wishes to return to their resident school district should inform school district administrators before January 15 for enrollment the following fall. If a student wants to return before the end of the year, the resident and chosen school districts must approve the transfer. Are there exceptions to the application deadlines? Application deadlines may change if the resident and chosen school districts agree to a new application date. They may also change if a child has moved to another school district. In that case, the family has until the following December 1 to apply for open enrollment. Can school districts deny transfer through open enrollment? School districts may deny incoming applications if the school district does not have adequate space in a grade level, school, program, or the district. For school districts with desegregation plans (Minneapolis, St. Paul, and Duluth), the school district may deny the application if the transfer will put the school district out of compliance with desegregation rules. How is the education of open enrollment students funded? State education funds that would have gone to the resident school district follow the student to the chosen school district. How is the education of students with special needs funded? State and federal education funds also follow students with disabilities to their chosen school districts. Any costs, over and above the state and federal funds, needed to educate students with special needs are billed back to resident school districts. 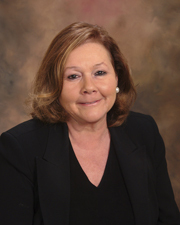 What are the rules concerning transportation of open enrollment students? State law stipulates that parents are responsible for transporting their children to and from school, or to a bus stop within the school district. Orono Schools offers out-of-district collector stops located around the district boundaries that families may also use. See the locations of these stops here. At this time, the district is not creating additional out-of-district collector stops. How are open enrollment decisions made in the Orono Public Schools? Each year, the Board of Education determines the enrollment levels at each grade level. When enrollment in specific grades and/or programs is at or near the recommended enrollment levels, the District is closed to open enrollment applicants in those grade levels and/or programs. The Minnesota Department of Education has established priorities for acceptance of open enrollment students. When there is space available. First priority is given to siblings of enrolled students and children of district employees. Additional spaces are filled by a lottery if needed. Should spaces become available due to changes in enrollment, the Board of Education may reopen a grade level to transfers and will follow the same guidelines and application dates as specified by law. Students moving out of the Orono School District and wishing to remain in the Orono Schools are required to follow the same procedures as all open enrollment applicants. There is no guarantee a spot will remain. 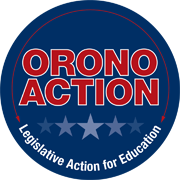 However, students in grades 11 or 12 may remain in the Orono Schools regardless of residency. Is there a central source for information about open enrollment? Please direct your questions to John Morstad at 952-449-8306 or his assistant, Marcia Zajac, at 952-449-8308.